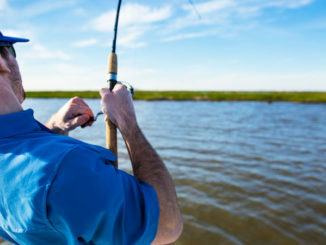 When it comes to fishing, anglers often need to have skills and knowledge other than casting and retrieving in order to be successful. Some are apparent: the ability to throw a cast net to collect live bait. 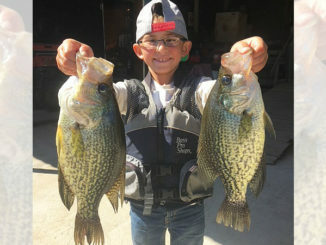 Others, including the ability to anchor quickly, quietly and successfully, aren’t often at the forefront of fishermen’s thoughts. All it takes is a few minutes of looking through a marine retailer’s catalog or visiting an Internet website to, see an abundance of anchor designs. Each touts some feature or situation that claims superior service. 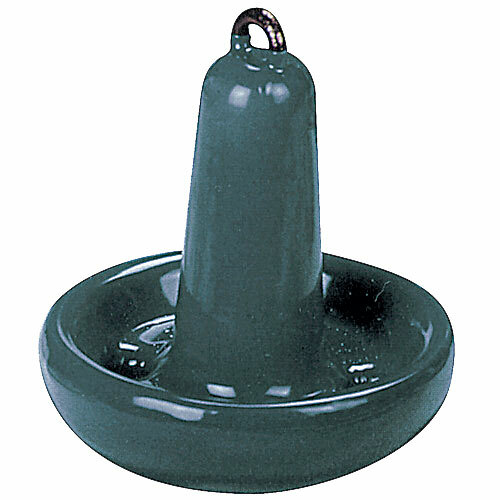 Certain bottoms or fishing situations call for one style or anchor over others. The Danforth, blade-style anchor is one of the best-holding anchors, regardless of bottom type, when used with an appropriate weight and enough anchor chain. The blades dig into the bottom to hold a boat steady. Holding power increases as heavier anchors are used, but it also can be increased by adding a longer and heavier length of chain. When rigged correctly, it will seek out a hold even on shell bottom and almost always digs its way to a secure hold. 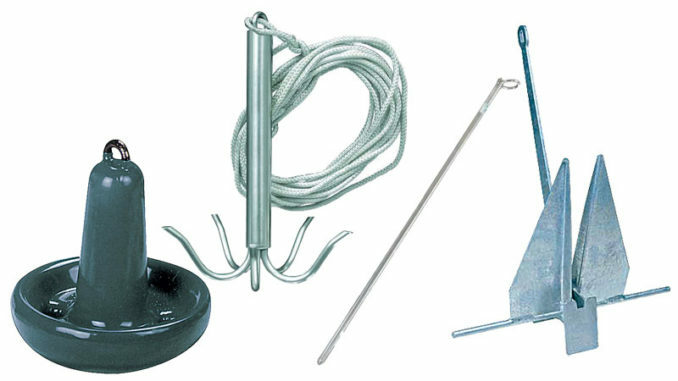 Many fishermen use the least-expensive anchor rated for their boats and one of the 3-foot pieces of chain that come in packages, complete with a pair of shackles for attaching it to the anchor and anchor line. They often must use the full 7-to-1 scope recommended by the Coast Guard. With harder bottoms in any current, the hold is precarious at best. Many bottom-fishermen use an anchor at least one weight heavier than suggested for their boats and add 20 to 30 feet of chain. They can usually anchor with a scope of 2-to-1 or less. In general, for deeper water, higher currents and harder bottoms, Danforth-style anchors, with extra chain are excellent holding anchors. If they work so well in these extremes, why not use them everywhere? They are not easy to untangle when they get hung on bottom structure, and they’re noisy. The shank and flukes rotate and clank, and the chain clinks against everything it touches. When the current isn’t too strong and the bottom isn’t too hard, a rubber-coated Navy style anchor is amazingly quiet and brings a high-degree of stealth to anchoring when you’re fishing for speckled trout or red drum in coastal creeks. This anchor can be used without any chain. Navy style anchors bite well in soft bottoms, but they slip on rock or shell bottoms. Mushroom-shaped river anchors work to a point for this application, but I’ve found the Navy-style anchor works better in more situations. 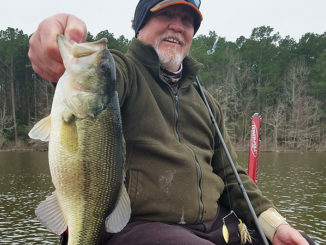 Cajun anchors have been gaining popularity with shallow-water fishermen, but they have a few limitations. 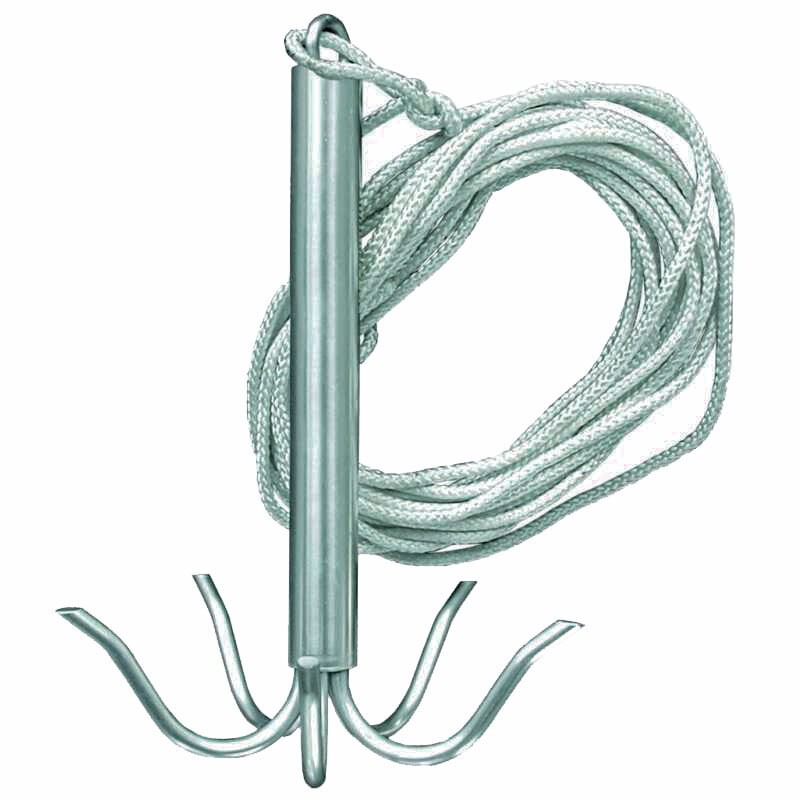 Cajun anchors are simply long, steel poles, with an eye on one end and a slight point on the other. They can be pushed into the bottom in shallow water and tied to the eye or dropped over the side where their weight holds the boat. 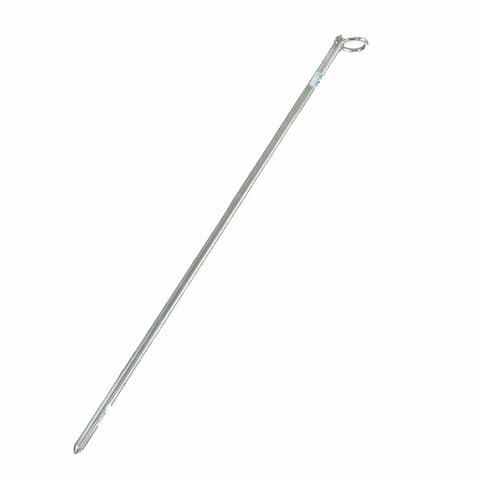 Cajun anchors work well for staking in softer bottoms, but so does a push pole, which is longer, serves a dual purpose and can work in deeper water. If there is much current, a Cajun anchor laid on anything but the softest mud bottom will drag. As the name suggests, wreck anchors work well at wrecks and also are a good choice at many other kinds of underwater structure. 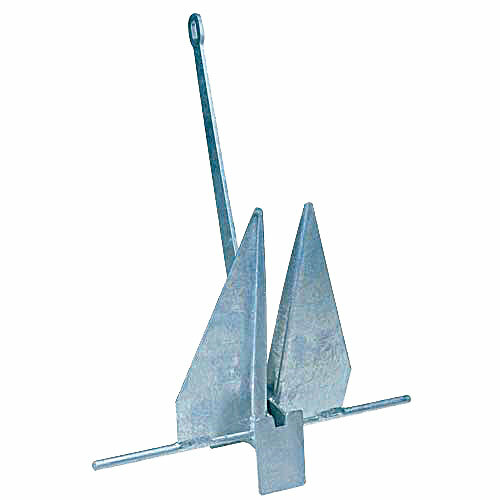 These anchors consist of a 2- to 3-foot-long heavy steel center bar with three or four grapnel hooks of lighter material welded to the bottom. The grapnel hooks grab in the structure and hold while anglers fish, but they can be pulled hard to straighten and release from the bottom.